A lovely Anonymous member, who shares with me the worshipping of Stephanie Miller, sent me this clip from Monday morning’s broadcast. Stephanie brings up Jett’s death and her producer mentions that down the road, the Scientology connection has to be looked into. I posted some of my thoughts in a feedback to a prior entry. I think there is a likelihood that Jett didn’t get proper treatment throughout his childhood based on his parent’s belief. I don’t know that for sure but that’s a possibility. Many people have thought the Travolta’s were unwilling to admit Jett had autism even though the seizures are consistent with autism and not at all a by-product of Kawasaki disease. Do I know? Of course not. But it is an argument going on just as forcefully on the autism message boards right now. What ever the reason, it remains a very human tragedy with a grieving family who has my sympathies. When a Christian Scientist’s child dies because the parent’s religious beliefs stop them from seeking treatment, they grieve just as much as other parents do. It is an incredibly sad situation that people can turn away from science which might save a life and put their child’s fate in the hands of dogma. I believe John Travolta did every thing he knew how to help his child and gave him the most wonderful life possible. I don’t doubt that for a second, even though I have no more concrete evidence to go by than the same newspaper reports from which I draw my conclusions about the death. I have no reason to believe Travolta is anything short of a loving father who must now be suffering terrible pain. I felt the same thing about the people watching over Lisa McPherson in her last 17 days. They did what they felt was right. They thought they were helping her. They were following Hubbard’s policies and ultimately Hubbard’s tech led to Lisa’s death. Will Hubbard’s tech share some responsibility for Jett’s death? I don’t know that. There is a possibility but I’m not in a position to make that judgment. If it turns out it did, other parents should be aware of the risks. Like Christian Scientists, they may still prefer to go with Hubbard’s teachings but the truth should come out so they are at least informed. The exotic and enticing Stephanie Miller took another cheap pot-shot at Tom Cruise again on her radio show, God love her. This time it was an inside look at the life of little Suri Cruise. They mixed in a lot of info about barley water for babies, kids being treated as adults because they’ve lived billions of lifetimes and other Hubbard nonsense and made it even more nonsensical in the process. Sure, they don’t have everything straight but at least they know how to have fun. Tom Cruise On American Idol? Radio goddess Stephanie Miller — along with voice man Jim Ward — comment on the astonishing news that Tom and Katie are going to sit in the audience of American Idol. This is the type of populist damage control usually done by lesser mortals — not the world’s biggest movie star and an Operating Thetan. 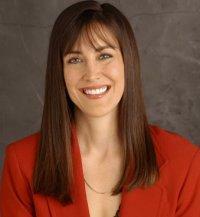 Radio goddess Stephanie Miller — along with voice man Jim Ward — goof on the Tom Cruise Scientology video. They are joined by The Soup host, Joel McHale who can’t say enough about the seeming insanity of the tape. Then Stephanie returns to the subject in the daily Hollywood gossip segment, Tinsel Talk. I have no interest in the Beckhams. None. Zilch. However, Mr. and Mrs. Tom Cruise have LOTS of interest in them. Tom made a full court press to get them into Scientology and while I haven’t seen actual proof that they are new members, the two couples seem inseparable. Today, Stephanie Miller was reporting on Beckham’s first score with whatever American team he now plays on (yes, I know I could do a quick Google and find that out but that is how little interest I have in them) and for some delightful reason Tom Cruise jumps into the action to tell Mrs. Beckham (one of those Spice Girl people…ditto on refusing to Google) how to rise on the Tone Scale. Stephanie Miller took up the story of Germany refusing Tom Cruise permission to film in government and military offices for his upcoming Nazi-Era film. Once again, someone in the Stephanie Miller brain trust shows off a fairly thorough knowledge of Scientology buzzwords as Tom Cruise jumps on Oprah’s couch. Voice guy Jim Ward gives a pretty good demonstration of why Germany might be wary of granting Scientology access to their offices. Elisabeth Moss discusses her Scientology beliefs CNNElisabeth Moss knows that people think her starring role in "The Handmaid's Tale" seems counter to her being a Scientologist. How Tom Cruise's kids are rock stars in the Scientology world Page SixCruise kids' increased visibility in the religion — which is said to be struggling through a 20-year membership decline — sends a powerful message. Scientology Has a Long, Weird History With Sword Deaths The Daily BeastL. Ron Hubbard claimed a book he wrote about swords was so good it killed people. Is this why people keep attacking the church with swords? Tom Cruise's Daughter Comes Out as Top Scientology Recruiter The Daily BeastThe daughter of the fringe religion's most famous member gushed about her 'auditing adventure' and encouraged people to receive Scientology training.